Fruit juice concentration requires the partial removal of water content so that all the solid components such as fruit sugars, minerals and vitamins are left in a more concentrated solution. The purpose of concentration is to ensure longer storage life and easier transportation. After juice extraction, screening and centrifugal purification, the juice goes to a primary tank. At this stage, the juice concentration is inconsistent, varying from 9 to 12 Brix. The concentration depends on various factors such as fruit quality and annual rainfall. The juice is then fed to the evaporation plant. For fruit juice concentration, a three-stage falling film evaporation plant is commonly used. The evaporators have a constant boiling rate. In the evaporation process, the concentration value is typically increased from 10 to 65 Brix. The K-Patents Sanitary Refractometer PR-23-AC is mounted on the evaporator outlet. 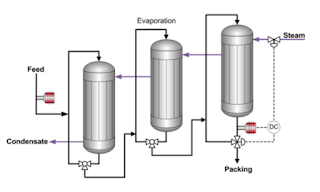 It provides a signal to a controller regulating the Brix value by varying the evaporator inlet flow. 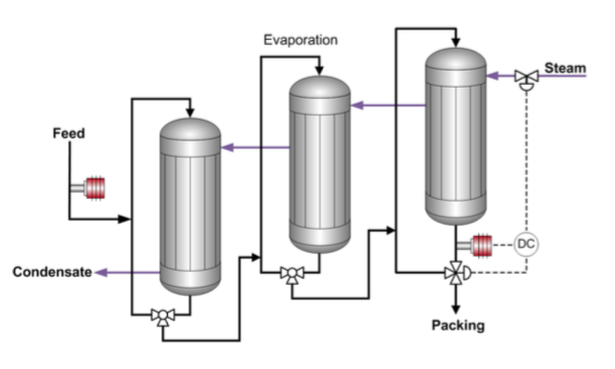 If the Brix value increases, the valve allows a product flow rate increase through evaporators. This brings the Brix value back to the set-point. 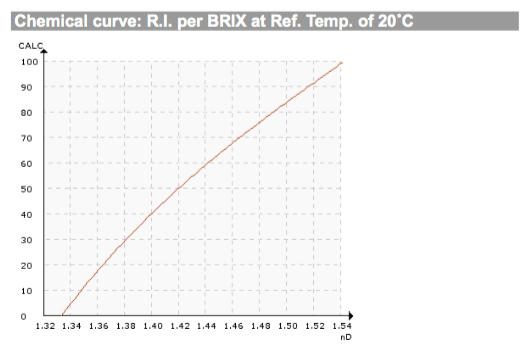 Typical measurement range is 30-80 Brix. 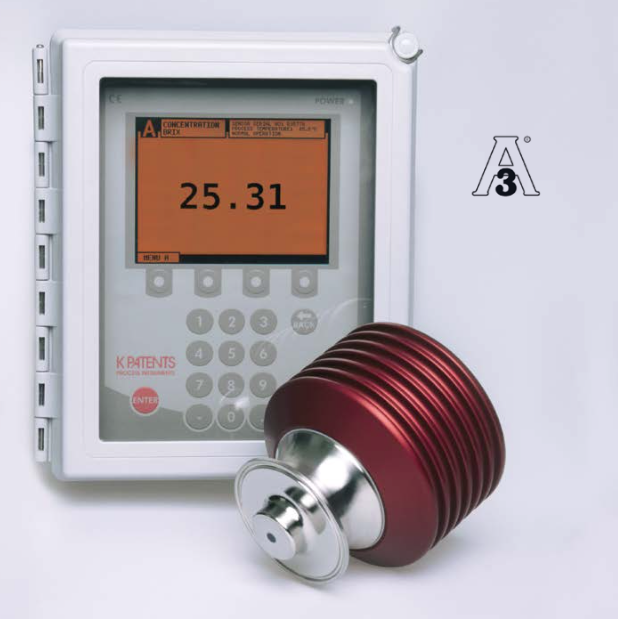 K-Patents Sanitary Compact Refractometer PR-23-AC for small pipe line sizes of 2.5 inch and smaller. The PR-23-AC sensor is installed in the pipe bend. It is angle mounted on the outer corner of the pipe bend directly, or by a flow cell using a 3A Sanitary clamp or Varivent® connection. 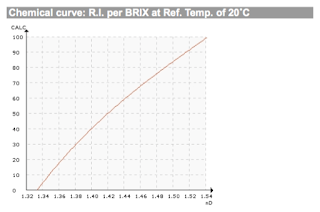 Measurement range: Refractive Index (nD) 1.3200 – 1.5300, corresponding to 0-100 Brix.